OMG Posters! » Archive Dennis Brown Limited Edition Art Print at BlueFlip (Onsale Info) - OMG Posters! 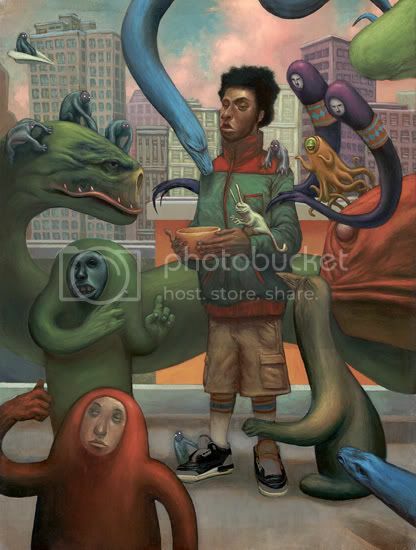 BlueFlip Art will continue their Monday limited edition releases with this new print by Brooklyn artist Dennis Brown, “Thelonius and the Children of Ego”. It is a 7.5″ x 10″ giclee, has an edition of 100, and will be priced at $30. There will also be a larger version (12.5″ x 16.5″) available for $60, and that one has an edition of only 10. This will go on sale today (Monday, November 19) at 3pm PST. Visit BlueFlipArt.com.